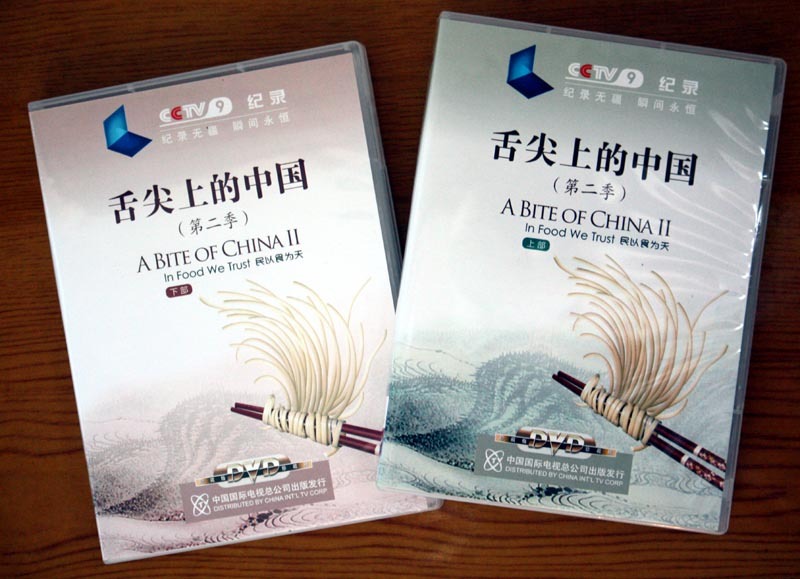 Fans of China Central Television (CCTV)’s outstanding A Bite of China (舌尖上的中国) will be interested to know that the second series has been officially released on DVD. It is still in Chinese only. The release consists of two sets of four DVDs priced at 62元 each from Xinhua book store (on the pedestrian street, opposite McDonalds. (On the first (ground floor)). Set 2 covers parts 5 to 7 plus a bonus episode (which I don’t think was broadcast) on the making of the series. No doubt the English narrated version will turn up around Christmas.
. This entry was posted on Wednesday, July 23rd, 2014 at 3:16 pm	and is filed under A Bite of China. You can follow any responses to this entry through the RSS 2.0 feed. Both comments and pings are currently closed. Promise you’ll let us know if there’s an English version ? “When”, not “if”. Be positive!